No one can guarantee your success. Our character is forged by the delicate balance of successes we enjoy and failures we endure; and the lessons we glean from them. According to the National Center for Educational Statistics, 19.9 million college students are projected to attend a 2 or 4 year schools in the fall of 2018. Many of whom are utterly clueless of how the field they are studying within the safe walls of academia translates into marketability in the real world. The world that that is illustrated on a fancy brochure doesn’t exist. So how do you improve your chances of success inside and outside of the classroom? Due diligence. You cannot rewrite history, but what if you could share your current knowledge with your 16 year-old self? One of the most brilliant tactics on success came from a high school junior named Evin Ersan. 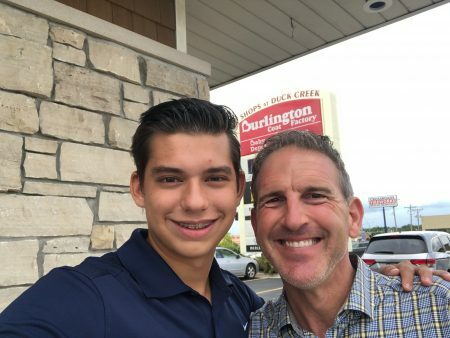 This young man reached out to me and explained that he was a junior in high school and was job shadowing people to discover what kinds of vocations or fields of study he might want to go into. He understood the value of relationships, connections, and the practical aspect of “test driving” a few occupations. You don’t learn how to ride a bike by reading a book. You got to actually do it. Many of the people are talented, yet they didn’t rely on raw talent to engineer their success. The backstage door of success is covered with the ugly sweat, determination, and grit necessary to create a desired outcome. He was bold enough to reach out and say, “Hey, this is pretty cool. What you do? I’m intrigued. Is it possible for me to be a fly on the wall for me to work with you for a day?” It is tough enough to get a millennial on the phone, let alone finding them reaching out to prominent members of their community. Life is not a spectator sport. Even if you’re out of high school (demographically I know most of my audience is) be bold enough to just reach out to somebody and ask them if you could chat with them about something that nudges you closer to the edge of your comfort zone, then take a half a step over because that’s really where true greatness and true growth lives. This entry was posted on Friday, August 31st, 2018	at 4:09 pm	and is filed under Leadership Lessons, motivation	. You can follow any responses to this entry through the RSS 2.0	feed. You can leave a response, or trackback from your own site.